It all happened November 2nd, and I will forget that date any time soon! 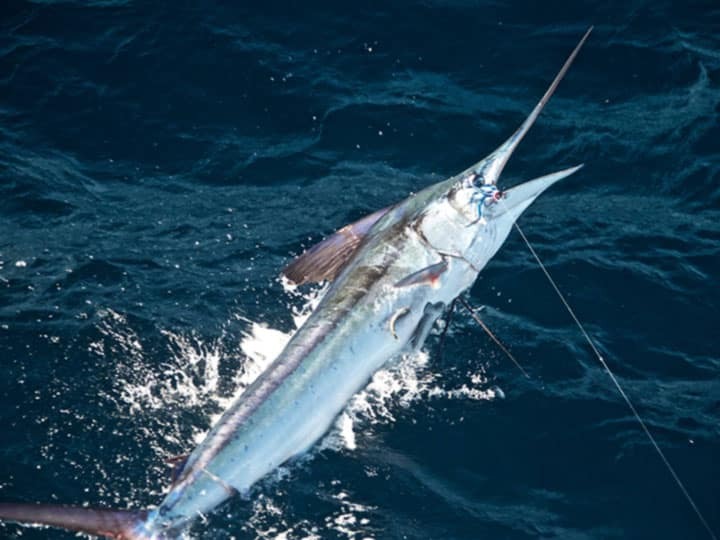 For most anglers, the idea of catching a billfish is high on the bucket list and an achievement on its own. 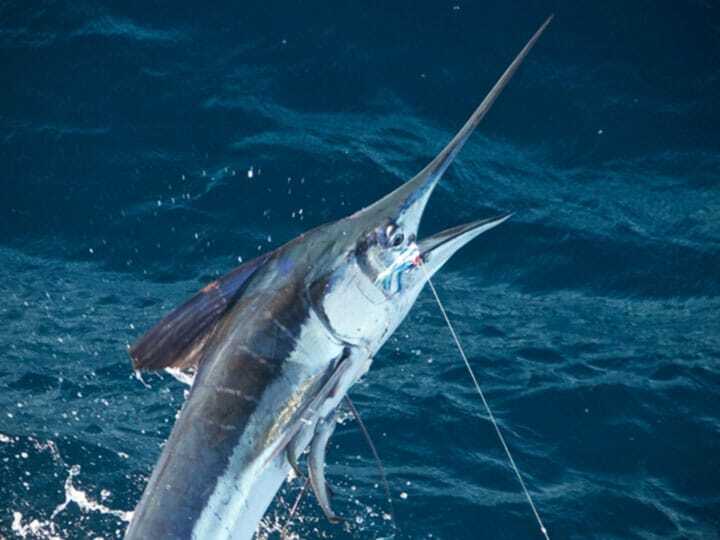 As a Floridian who moved to Costa Rica, I have been blessed with hundreds of sailfish releases and close to a hundred marlin releases on conventional or spinning, so at times I tend to take things for granted. 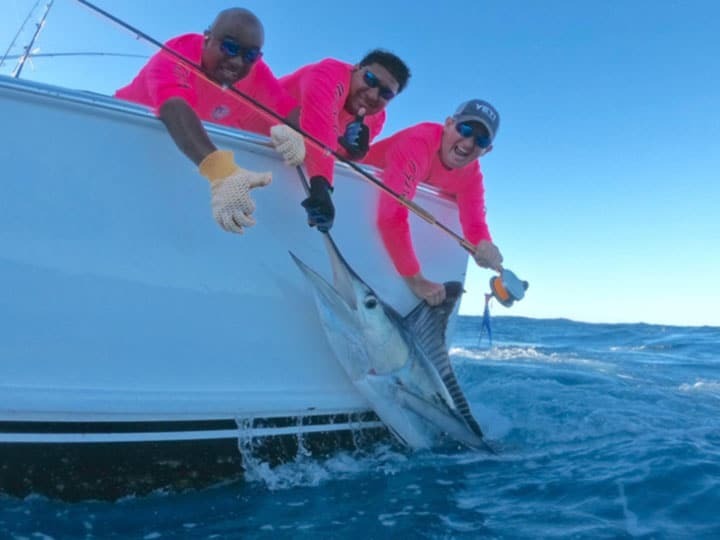 However, during a conversation with some good friends and fellow fishermen here in Costa Rica; Benn Gilmore (Jackpot Sportfishing), Jesse Males (Backwater Fly Fishing) and Mark Stone (Stone Mountain Outdoors), we decided to try something wild! 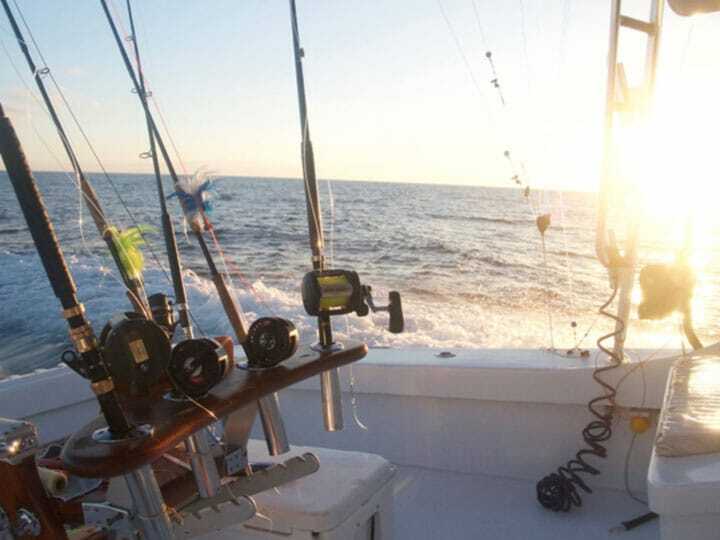 After some small talk and trash talking, we decided to step it up a bit and head to the Costa Rica Seamounts and fish the FADs with one goal in mind. 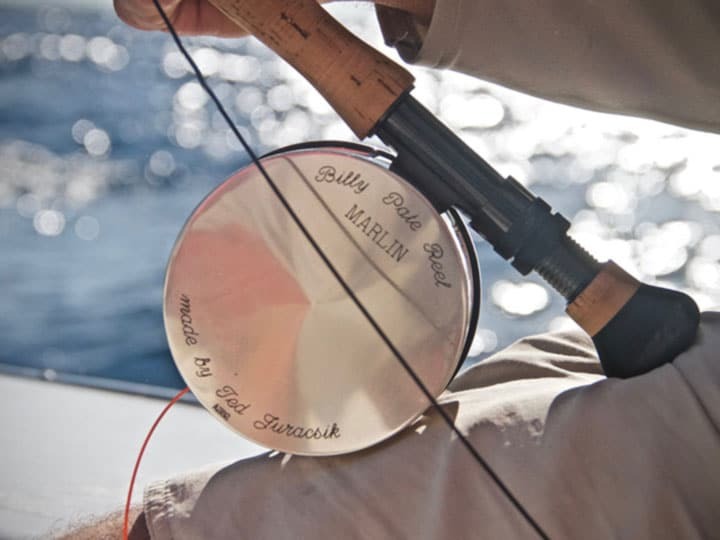 Get a marlin on the fly! Soon the date was set, and we steamed out from Marina Pez Vela in Quepos aboard Caribsea, my 46’ Guthrie Sportfish. And, before the fishing even started—we were blown away by a sight of the most insane meteor shower any of us had ever seen. This day was already supposed to one of the best in our lifetimes. Somehow, this wonder of nature came to pass on the same night we headed out to chase marlin on the fly. I remember sitting on the front of the boat in total darkness as we chugged to the 70-mile FAD. Chatting away through the wee hours of the morning we went to bed late, only to be woken by the crew rustling around a few hours later. It was time to get the spread out! For traditional conventional fishing, you are pulling dredges, teasers, and at times lures and pitch baits. It was a ‘fly fishing for marlin only’ day! Our spread was one dredge and one bridge teaser on the starboard side, then a long teaser with a 50TLD on the starboard long and a 50TLD as a flat line teaser on the port side. Super clean, fast and easy to remove. 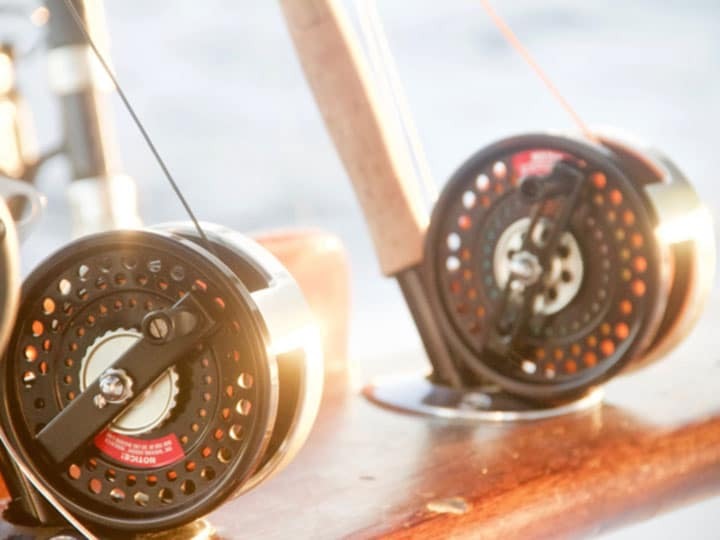 Our fly setup was a couple ‘Billy Pate’ marlin reels seated on two beautiful Sage 14wts. That’s a perfect setup for the size of the marlin we have here. For tippet, I was not worried about records or IFGA. I just wanted to fight a billfish on fly. Instead of doing the standard 16” 100lb chaffe attached to your tippit class, I went with 60lb fluorocarbon all the way. Fishing puritans out there—you might be disappointed, but all I wanted is a chance. The sun came up around 5 am and the crew set the spread. In the meantime, we talked a bit about what to do and how to present the fly. We omitted to discuss one major thing, but more about it a bit later. After drawing straws on who goes first (not really, my boat, so I go first, right? ), it was ‘Go!’ time. It was my time to mess this up or make a dream come true. The fish was hot, crashing the teaser and doing everything we wanted. I grabbed my rod as Captain Glenn started to bring the teaser in, the fish kept coming. He ripped the teaser out of the water, I made my cast, and the boat suddenly went to neutral. I was lost, like: ‘What the heck am I supposed to do?’ I turn around and look up at Captain Glenn with a ‘What’s going on?’ face. Captain Glenn comes from the old school as he fished years with Billy Pate and Harry Gray during the fly tournaments. Apparently, the boat is supposed to be in neutral at the time of the cast. I thought this would be an easy, sling the fly out, let the fly pop around a bit as the fish ate and then set the hook. Well, not quite. Fortunately, after what seemed like an eternity (only seconds) I got my act together and stripped once, then twice and bam, the fish made a perfect pass at my fly. It was so close to the boat, that I could see the fly go down its mouth. Once again, without much practice or talk on what to do, I had a pause and ‘Oh Crap! What Now?’ moment and then stuck the rod tip down in the water. The line pulled tight and as the fish started pulling drag, I gave a few tugs on the rod to really set the hook. It happened! The first time I had ever presented a fly to a billfish, I somehow managed to get the hook up. The fight was on now. And it was beautiful! 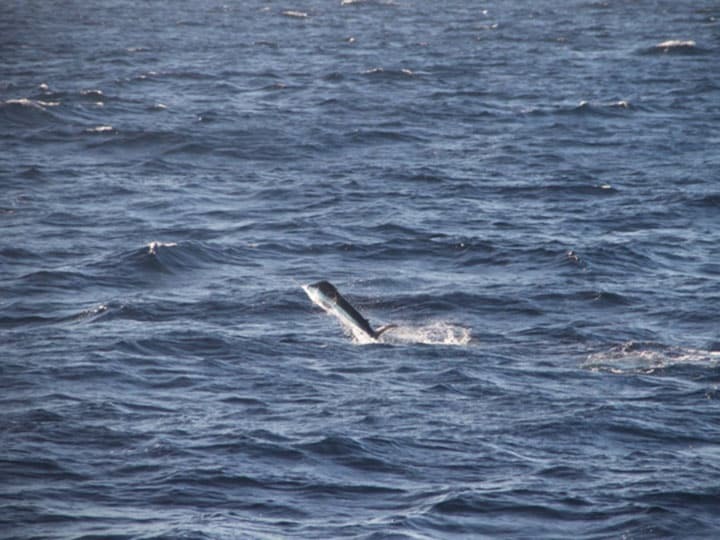 The fish stayed relatively close to the boat, putting on an amazing areal display. It was a truly amazing sight to see that bright orange fly line running down the side of the fish and going to battle with the beast. The one-to-one retrieve rate of a fly reel to a fish that can swim 50 miles per hour is insane. Just spooling a fly reel with backing feels like miserable work. With all the adrenaline pumping, I barely knew what was going on. After about 35 minutes and a few close calls, we got the fish boat side. 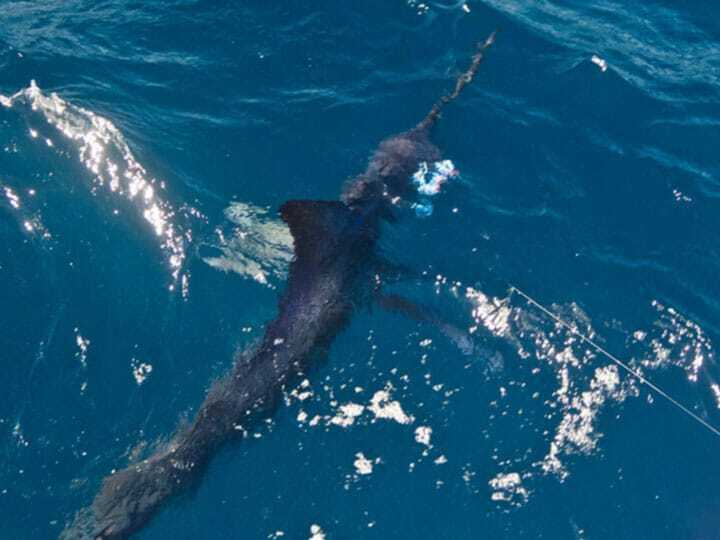 A perfectly-sized stripe marlin around 100–125lbs. 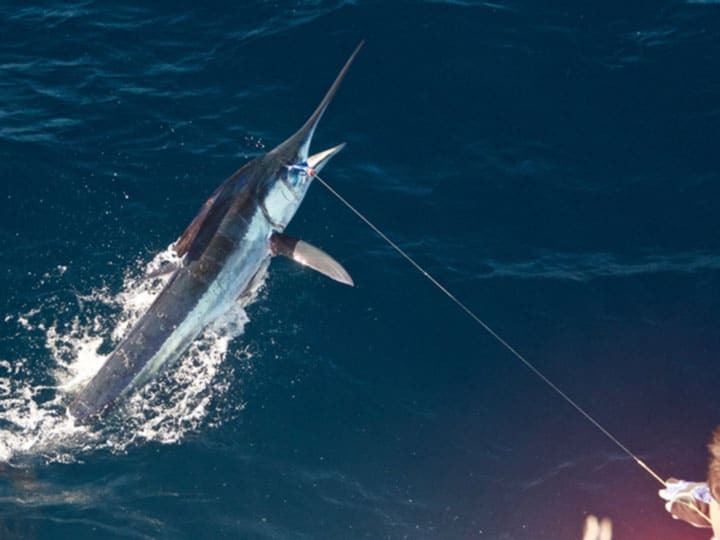 I could not believe it, the first time I ever threw a fly at a billfish and my first billfish ever on the fly, and it was a marlin. To say that I am spoiled or lucky is an understatement. But I have been bitten by the billfish fly bug for sure. Afterward, it was ‘Go!’ time for my friends. 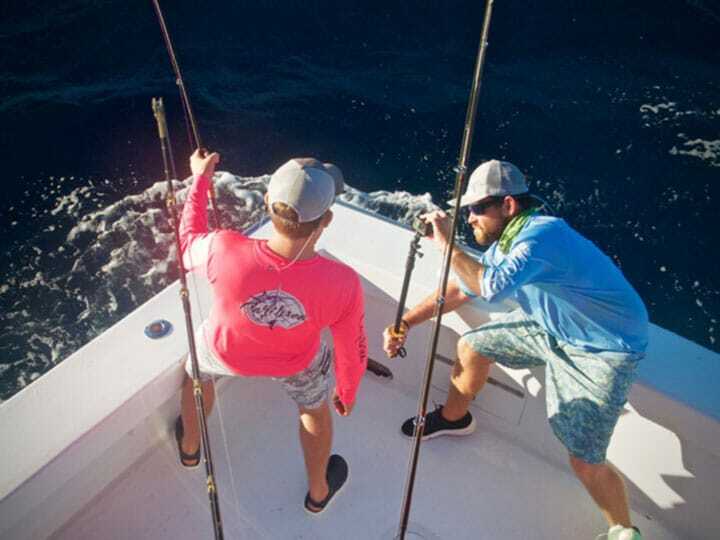 We finished the day up raising five marlin and getting three true bites on the fly, releasing one. My first one, what an amazing feeling! I will not forget it any time soon. 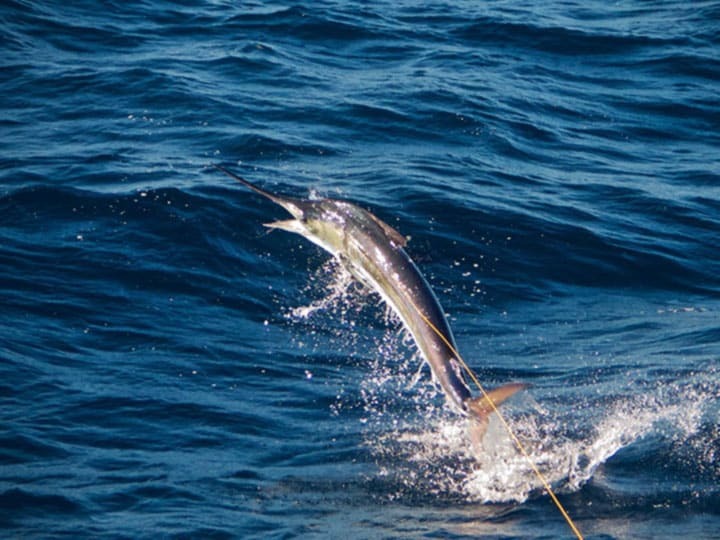 And last, but not the least, check out our action-packed video of Costa Rica marlin fishing on the fly!